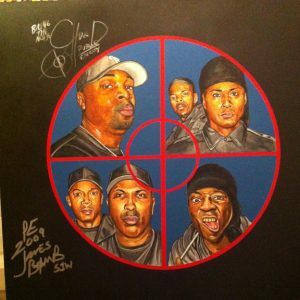 This is the original artwork for the cover of PUBLIC ENEMY #0 featuring Chuck D, Flavor Flav, James Bomb, Pop Diesel, DJ Lord and Professor Griff. 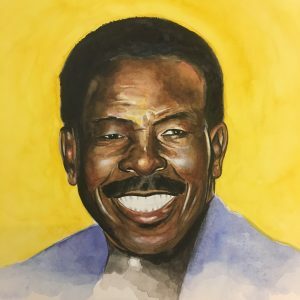 This is completed on illustration board in watercolor, oil and color pencil. 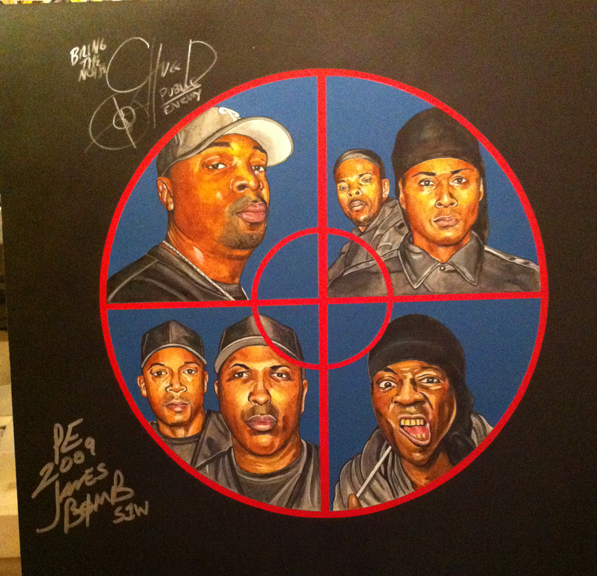 It measures roughly 20×20. 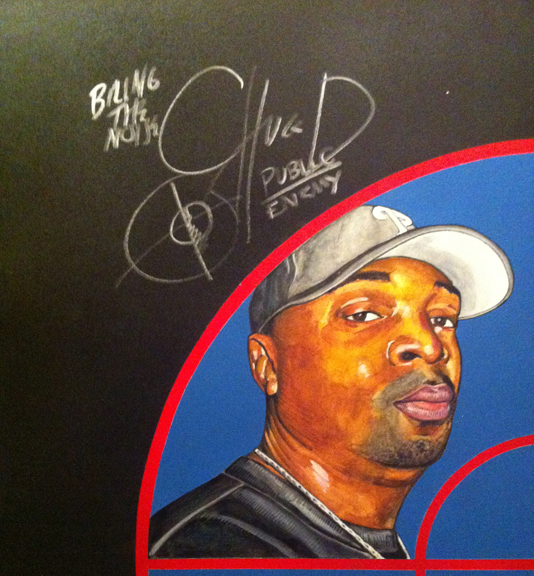 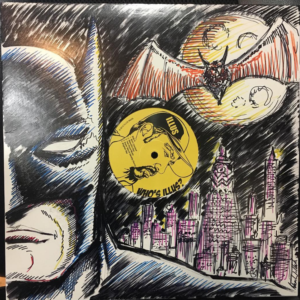 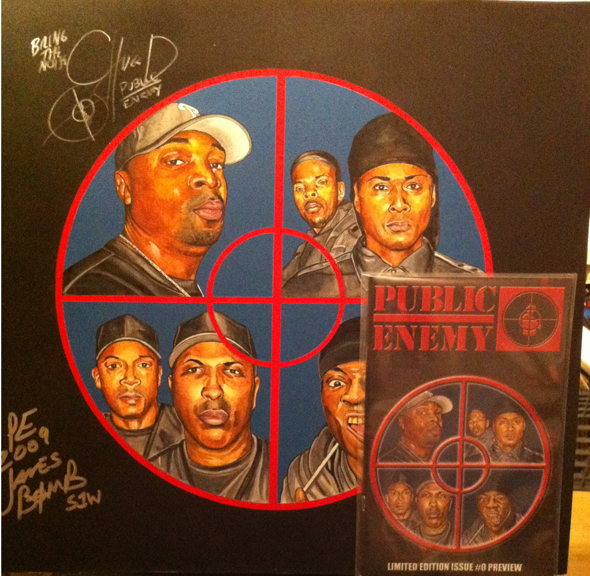 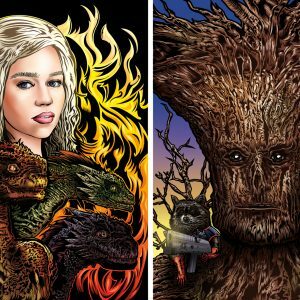 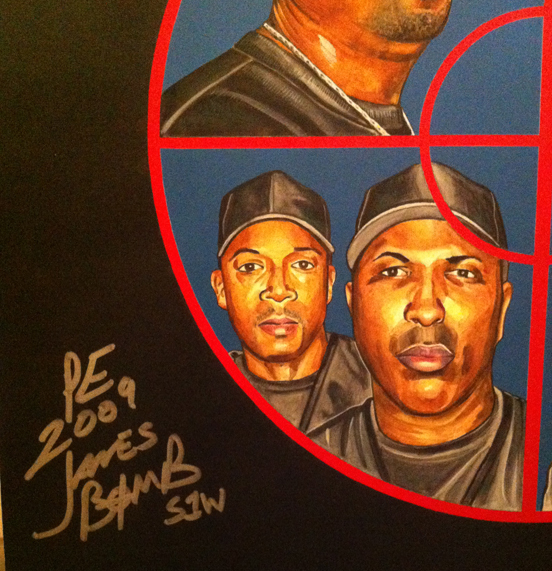 The art is autographed by Chuck D and James Bomb and perfect for framing.